The California Department of Consumer Affairs’ Bureau of Automotive Repair (BAR) administers the Smog Check Program. Vehicles are inspected each year by more than 7,000 State-licensed and independently owned stations throughout the State. Smog Checks are required biennially (every other year) on vehicles more than six model-years old. Additionally, a Smog Check is required if you sell a vehicle that is more than four model-years old and when registering an out-of-state vehicle for the first time in California. 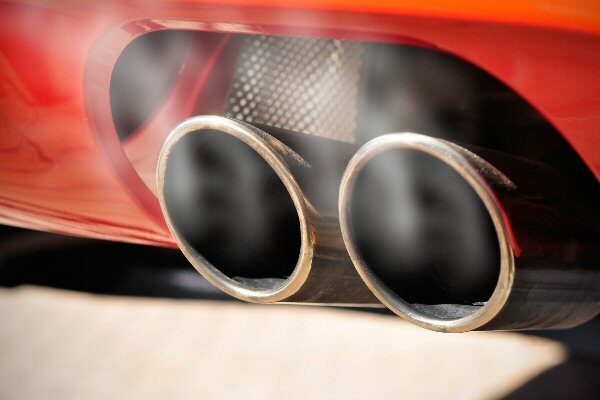 Performing regular and proper maintenance according to your owner’s manual and not tampering with the emissions-control equipment will help improve your vehicle’s chances of passing a Smog Check. If the “Check Engine” light comes on, take your vehicle to a licensed repair station as soon as you can to have the problem diagnosed-do not wait for the vehicle’s next scheduled Smog Check. A blinking or flashing light indicates a malfunction that should be addressed immediately to avoid serious damage to the engine or emission-control systems. Check your owner’s manual for repairs that may be covered under your vehicle manufacturer’s emissions warranty. What are the elements of a Smog Check? Is the Smog Check Program biased against older vehicles? I have a vehicle that is six model-years old. My DMV registration renewal notice says it must have a Smog Check, but I thought it was exempt from the biennial Smog Check requirement. A gas-powered vehicle is excused from Smog Check until it is seven model-years old. Department of Motor Vehicles (DMV) computers are designed to recognize the exemption and process your renewal accordingly. Contact DMV if you think there is an error. If you are unable to resolve the problem with DMV, a state Referee facility may be able to help. Call the Referee Call Center at (800) 622-7733 to schedule an appointment. What is an Enhanced Area? Have California vehicle emissions standards changed? Yes. BAR periodically adjusts some standards to increase their fairness. As a result, some standards become slightly more stringent than they were previously and some slightly more lenient. California’s emissions standards consider the model-year, vehicle make and model, and gross weight of the vehicle. Older cars have less stringent standards than newer ones. No older vehicle is ever held to the same standards as a newer, more technologically advanced vehicle. Allowances are made for normal wear and tear in a vehicle’s emissions control system as it ages. Standards are established through a regulatory process and are made available for public comment before they are adopted. The last adjustment occurred in 2010. This information is sourced directly from the California Bureau of Automotive Repair, you may see this source by clicking here.